by Hewitt, Paul G., Suchocki, John, Hewitt, Leslie A.
Hewitt, Paul G., Suchocki, John, Hewitt, Leslie A. Based upon the premise that students learn best from what they already know, the authors use a range of everyday examples to clarify concepts in the physical sciences. 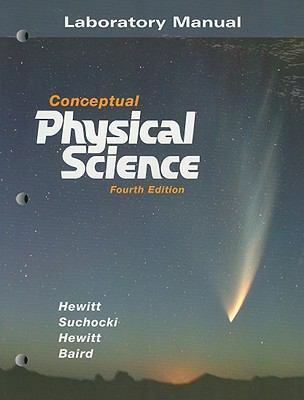 The content has been revised, especially in the earth sciences and chemistry.Hewitt, Paul G. is the author of 'Laboratory Manual for Conceptual Physical Science', published 2007 under ISBN 9780321524058 and ISBN 0321524055.